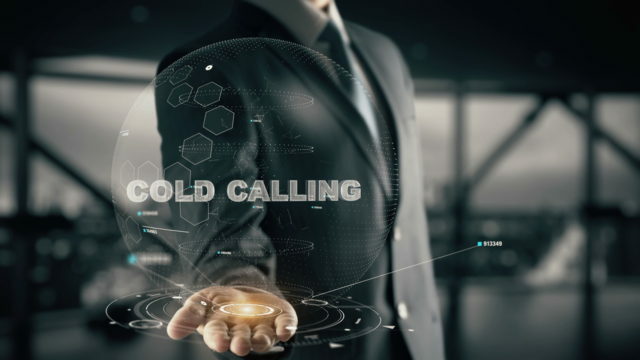 Discover sales training with best tips, rebuttal techniques and responses on how to go about handling and overcoming most common objections in phone cold call prospecting. Prospecting by phone can be hard—gatekeepers screening you out, decision makers don’t want to talk to you, etc.—but it doesn’t have to be. I’m going to give you one proven sales technique to use that will allow you to overcome many of the sales objections you’re getting now. In fact, if you just take a few days to memorize this scripted sales technique, and then use it on each and every call for a week, you’ll be amazed by how much easier prospecting (or cold calling) becomes. As you can see, the following proven sales technique will work on the most common, frustrating sales objections and sales blow offs you’re getting now. One last thing before I give you this proven sales script: This sales technique is meant to allow you to get around the sales stalls and sales objections above. The last thing you want to do is try to overcome these stalls or objections. Instead, your goal is to get past this initial resistance and back into your qualifying. Again, I’m sure you can come up with other sales qualifying questions here. The point is to A) side step the sales objection using the technique above, and then B) engage your prospect by asking a qualifying question. If you master this one technique, you will instantly avoid many of the sales objections and stalls you’re getting now. Having a proven response like this to handle the selling situations you get into, over and over again, is what will change your prospecting experience and allow you to speak with more qualified and potential sales leads. And this is what will lead to more sales success. So, get to work: adapt the sales script and questions above to suit your selling situation and use it, master it, over the next week. And then watch your meaningful sales conversations and sales results soar.